SAINT PETER — College administrators have made the executive decision to cut the men’s and women’s Nordic Skiing Team Friday afternoon, citing that the sport “made too much sense in the wintry tundra that is Minnesota.” The news came just days after the team hosted their end of the year banquet, during which they celebrated having the highest team GPA at Gustavus. According to an inside source, the team was dropped in order “to allocate support and resources for MIAC sponsored teams and to align ourselves with the college’s developing image as the most tropical, sexiest school in the MIAC.” Athletic Director Tom Green further attributed the move to the “high costs of supplying the team,” whose equipment includes winterproof swimsuits, two thin pieces of plastic, and some frozen water. Nordic Team members reported learning their head coach, Jesse Christiansen, was notified of the decision on Thursday of last week. Christiansen’s awareness of the eradication of the Nordic Team was poorly veiled leading up to the official announcement. At Sunday’s Team Banquet, Coach Christiansen made his closing comments to his team not in his typical Scandinavian sweater, but rather in a bro tank, Sperry’s, and short-cut chinos. Team members also reported Christiansen was not his usual self, but was unnaturally using many of the phrases making their way into Admission material, such as “G-A-C is H-O-T,” and “Welcome to Minne-bro-ta” between stifled sobs. The college, whose campus is covered in snow 7 of the 9 months of the school year, will be abandoning the Nordic Ski Team in favor of a new Competitive Waterski Squad. 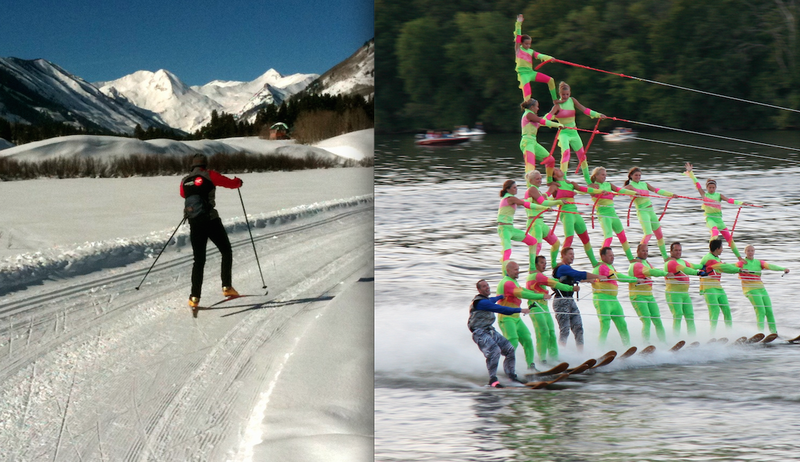 In keeping with the conversion of the college’s image into that of a coastal Florida university, the Athletic Department has announced the replacement of the Nordic team with a competitive Waterski Performance Squad. This transition has come as a shock to some, largely due to the fact the landlocked campus is covered in snow throughout seven of the nine months of the school year.